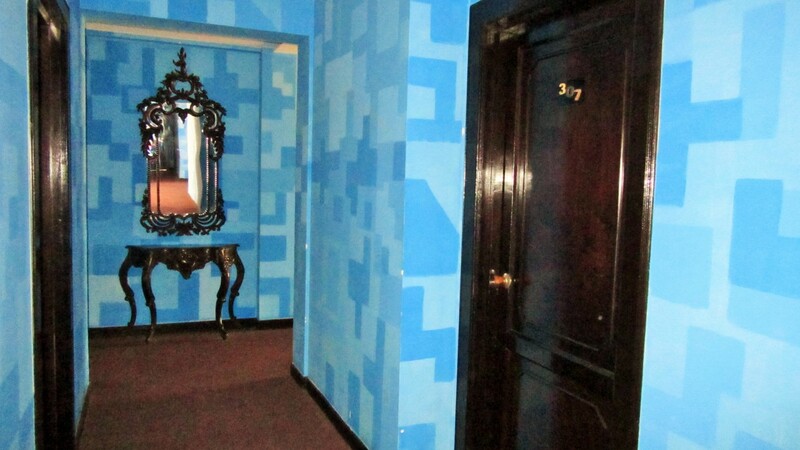 Loki Hostel, La Paz, Bolivia | LOOK WHAT WE DONE! When you’re a big hostel that wants to cater to a broad market, you’re faced with a dilemma. How do you make everyone happy? The boutique hostel scene is a comparative chumps game – find a niche, say vegan lumberjack – get a log cabin, put up posters of lettuce, then watch the rave reviews flow in. But what if you want your place to talk to males, females, and others, ages 18+, with nothing in common but the fact they need a bed IN YOUR TOWN? 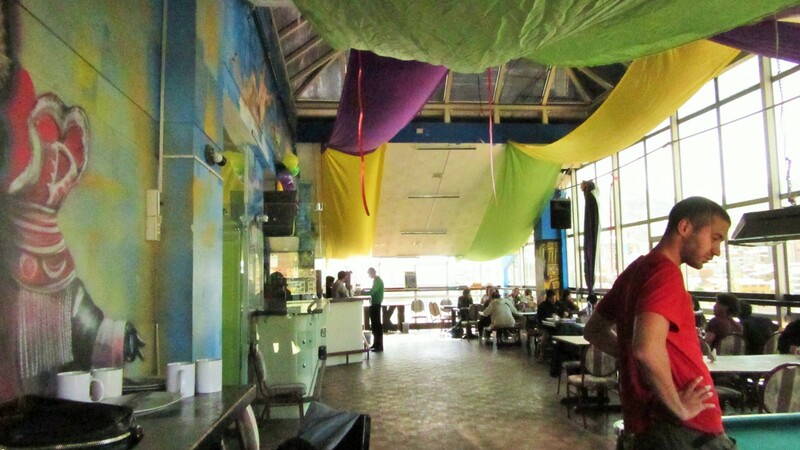 Loki La Paz is the third of five Loki hostels throughout South America. The building that it occupies started life in the 70s as a mid-range hotel in the centre of La Paz, the largest city in Bolivia. Standing 8 stories tall, it spits on most buildings in the area. Reportedly only getting 20-30 visitors per night as a hotel, Loki saw the potential of the spot and re-designed the building as a backpackers’ hostel. It just works. The fact that the place was previously a hotel means that EVERY SINGLE ROOM has a private bathroom. No running down corridors with a hand towel over your gentleman’s vegetables. And the showers – often a make-it or break-it piece of a hostel’s puzzle – would have to be the best I’ve had in South America. It feels like you’re being hit with an anti-riot water cannon. I felt 2” shorter coming out than I did going in. And if you choose to shower in molten lava, you are able to shower in molten lava. The rooms are comfortable and minimalist. As the highest capital in the world, La Paz routinely gets below freezing overnight. Loki has custom made mattress and duvet sets that handle the prospect easily, but truthfully, the room was perfectly toasty anyway. 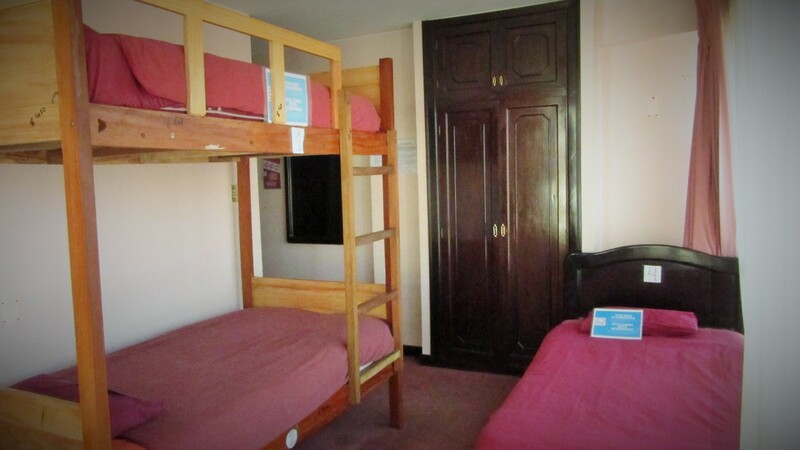 There are choices of 4, 7 and 10 bed dorms, as well as privates in twins and doubles. But the jewel in the crown is Loki’s sky bar. Situated on the top floor, it provides uninterrupted views to the East of La Paz. The cashless wristband systems means you won’t be caught short for a beer and parmi (yes, ladies and gentlemen, they do parmies), and you don’t have to carry around cash or card until checkout. There’s a free pool table, 3 happy hours daily, and hostel-provided entertainment each and every night. But where I have to take my hat off to Loki is that they aren’t one-dimensional. Party hostels are a dime-a-dozen, but being a party hostel drives away a fair chunk of the backpacker market. In five nights staying there, I didn’t hear a peep from the top floor, despite every night dragging into the wee hours for the bar. 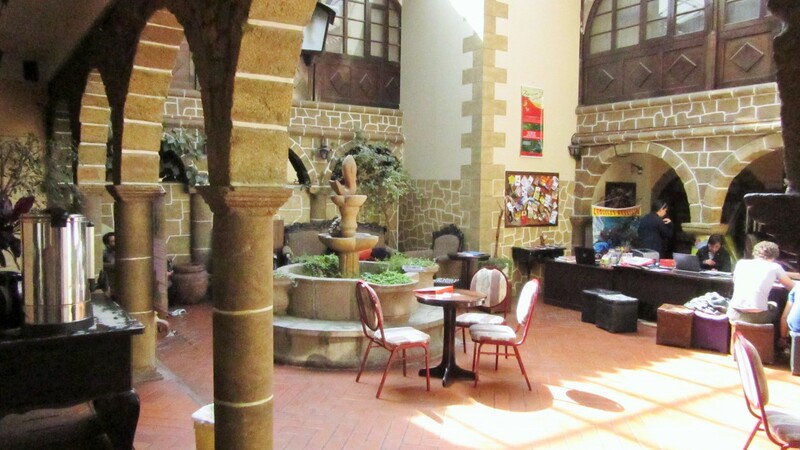 The top floor is also offset by a beautifully chill downstairs courtyard, where less animalistic travellers can have their tea and scones and talk current affairs. This area doubles as a travel office for backpackers interested in scouting one of a million awesome day-trips on offer around La Paz. In the cons column, the Wifi is restricted to the common areas, but I even found this to be a bit of a pro, as it filled up these spaces with people and got the place feeling lively. Even in the common areas the connection can be tedious though, as is often the case in Bolivia, and particularly when 230 people share 4 modems. There is however a computer room with 6 super-fast desktops if your need for HD cat videos outweighs your need for personal growth conversations. The other minus is a lack of kitchen, but again, they have parmies. All in all, Loki would have to be one of the most well-rounded hostels I’ve had the pleasure of staying at. The staff are all super friendly (just TRY walking past a cleaner without getting a smile and a ‘buenas dias’), the location is spot on, and the atmosphere is whatever you want or need it to be. To book your stay, hit them up via their website, HostelBookers or HostelWorld pages. If you’re planning a stay of more than a couple of nights, check out loki passport, where you can start to get nights throughout their network on the house from your first visit.